The Kappa Delta Chapter of Alpha Gamma Delta at Westminster College has been notified by the national office that the local sorority won the prestigious Gold Academic Honor Society Award of the Marguerite Shephard Initiative for the 2016 spring semester. Sororities must have a chapter grade point average of 3.14-3.24 in order to qualify for the award. The Kappa Delta Chapter was founded at Westminster on December 5, 2009. In the fall of 2014, the sisterhood initiated its 100th member. 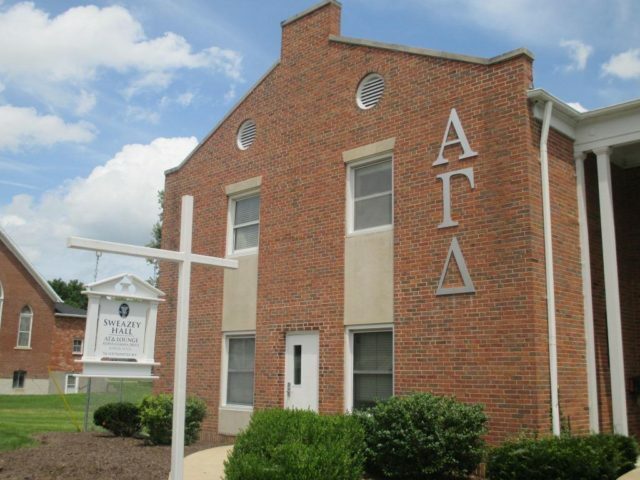 In October, 2015, Kappa Delta became the first sorority on the Westminster campus to have sorority housing on campus. The chapter lives on the first floor of the residence hall, Sweazey Hall, where its lounge is also located. Involved in successful community service work, the chapter participates in Philanthropy Week on campus and holds an Alpha Grabba Donut event, selling Krispy Kreme donuts, and the Alpha Gam Lip Jam, an annual campus wide lip-syncing competition, to raise money for charitable works. The national organization Alpha Gamma Delta was officially founded on May 30, 1904, by 11 women at the home of Dr. Wellesley Perry Coddington, a professor at Syracuse University. Since its founding, collegiate chapters have been installed at 188 colleges and universities throughout North America and more than 160,000 women have become Alpha Gam sisters.